After a disappointing summer, the yard has cheered up a bit and come to life again in the cooler weather. It's like spring but its actually fall or autumn as we say in the UK. Plants have sprung a new lease of life, fresh foliage and some new flowers. The Cassia 'Buttercream is flowering for the first time, having been a small plant purchased just a year ago. The double form of Madagascar periwinkle, Catharanthus 'Soiree' has sulked all summer but is now full of bloom. And one of our garden center purchased Echinopsis has produced three fabulous late flowers. Our plant of Canna 'Durban' looked very drab and tired in the heat of summer but now has a wonderful crop of fresh vibrant foliage. In particular we are thrilled to see that our milkweed is finally acting as a host for Monarch butterfly caterpillars. Probably the only crawlers we'd welcome in the yard! 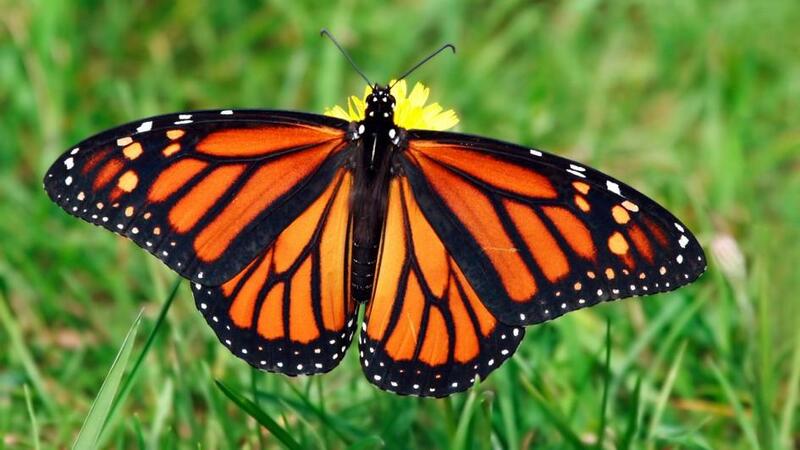 Apparently the butterfly will feed on a variety of nectar producing plants but the larva will only feed on milkweed, so the eggs are laid here. We bought red and yellow flowered plants but only the yellow survived. The caterpillars seem to prefer to feed on the seed pods and appear to be leaving the leaves alone! The final picture is not from our yard but just to show you what we are hoping we will eventually get! Fancy the thrill of acting as midwife to a bunch of butterflies! Is Calotropis gigantea grown in your desert area? I understand that too is food for Monarchs.